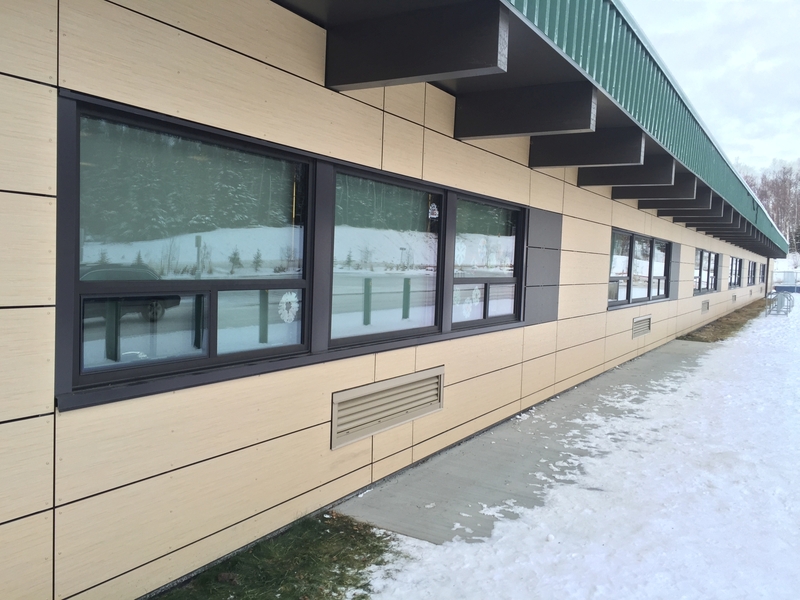 As part of a large, multi-building renovation, Rabbit Creek Elementary School in Anchorage, Alaska was remodeled in 2016. 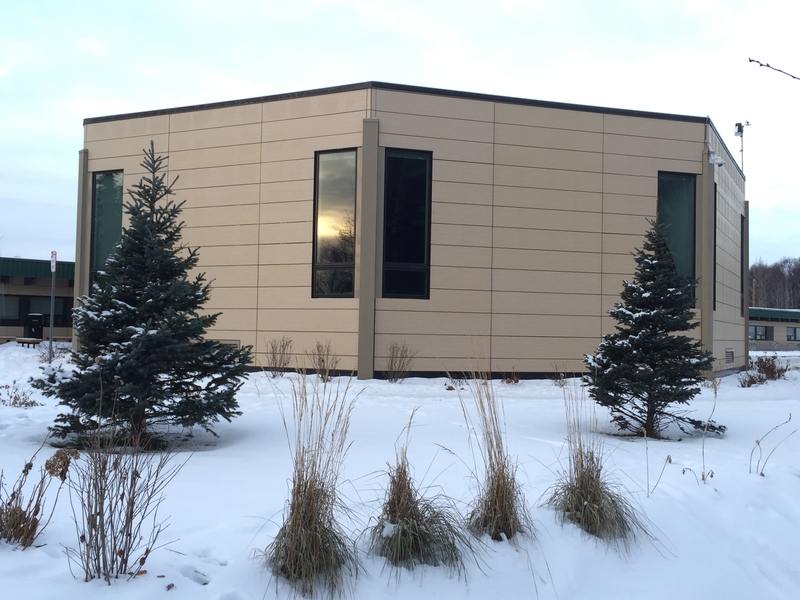 Stonewood Architectural Panels were installed, in both Blonde Echo and Slate Grey, as part of the $11.5M project. 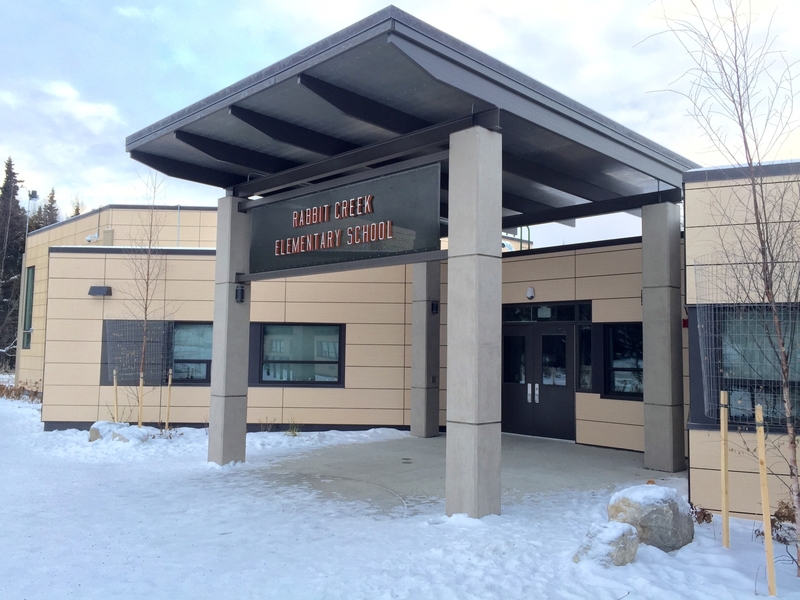 Rabbit Creek was one of five schools in Anchorage School District that saw major renovations in 2016. Size 3/8" x 48" x 96"